Join in MISSION POSSIBLE 2008 on August 7th from 6-8:30 pm at Town Center, and take on the role of sleuth in a mystery mission. Proceeds benefit The Haven, a local home for boys age 9 to18 who have been placed in protective care by the state. Sample more than 100 wines and many hors d’oeuvres on August 16 from 7-9 pm at WINE & ALL THAT JAZZ at the Boca Raton Resort and Club. Gear up for 5k walk August 19 from 5:30-8:30 pm at Marriott Boca Center. Goal is to collect $375,000 for MAKING STRIDES AGAINST BREAST CANCER. Local celebrities will compete on the dance floor on August 28th, 6-9:30 pm at Pavillion Grille, 301 Yamato for the BOCA BALLROOM BATTLE with proceeds benefiting the George Snow Scholarship Fund. Local business leaders and representatives from area nonprofit and media groups are working together to present these events and many others (40+) throughout the month of August. C’mon over and don’t miss all the fun! For the last 30-years, “Singing Pines” house has been the home of the Boca Raton Children’s Museum. 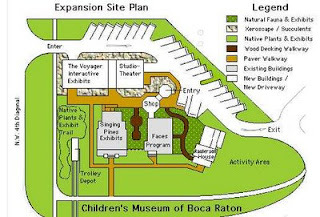 Celebrations are scheduled for October, along with the first phase of expansion, and will feature a look back at Boca’s pioneer history, a display “for kids and about kids.” Located at 498 Crawford Boulevard, the museum will soon look like a village green. 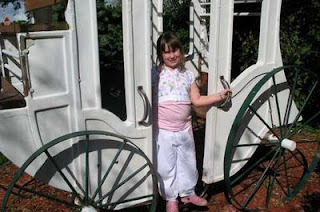 Author Diane Benedetto has written a book on what it was like to be a kid in the pioneer days and will be taking part. A Memorabilia Closet will hold toys and clothes from that era. Historic photos will be included, in particular on of the aftermath of a 1920’s hurricane where everything is devastated but “Singing Pines” remains standing. The house was built by William Myrick who purchased the property from Henry M. Flagler’s Model Land Company and the Myricks were one of 13 families who settled in Boca Raton in 1913. Phase II will be a high-tech house with a mini-Imax theatre and computer labs that give children an opportunity to create science projects, make films… and more. It will be named “The Voyager,” using designs from H.G. Wells and Jules Verne. Museum Hours are Tuesday through Saturday, 12-4 pm. For more information call 561-368-6875. WORLD’S MOST EXPENSIVE HOUSE? $500,000,000! Once owned by Bill Gates, La Leopolda, 10 acres, said to have the best views in Southern France, reportedly built by Belgium’s King Leopold for his mistresses, has been purchased by Russian billionaire Abramovich, reportedly for CASH. A regular 80% mortgage would have monthly payments of over $3,000,000! The Florida Lottery is offering an 8-week “Summer Cash” drawing across the state to tap into the public’s frustration with sky-high gas prices. Prizes include “Gas for a Year” and “Gas for Life.” Tickets are $5. Grand prize is $250,000. Festival Days was established by the Greater Boca Raton Chamber of Commerce to raise awareness and funds for non-profit organizations and to boost business during a “slow month.” Last year $200,000 was raised for non-profits including The Haven, Boca Helping Hands, American Cancer Society, Kids in Distress, Volunteers for the Homebound & Family Caregivers and the Wildlife Care Center. The Chamber pairs “for-profit” and “non-profit” organizations. The official Chamber Boca Festival Days even is Wine & All That Jazz, to be held on Saturday, August 16th, 2008 at the Boca Raton Resort & Club on Camino Real. Upscale dress or business attire for this even, an opportunity to preview over 100 wines and fresh, handmade European style chocolates, plus music and dancing. For the full schedule of almost daily events, go to the online events calendar at www.BocaRatonChamber.com or email dsalazar@bocaratonchamber.com. You can support these events as a “Community Builder, “Community Partner”, or “Community Friend.” A list of organizations you can choose to support is on the events calendar for Festival Days. Call Desire Salazar at 561-395-4433, ext 235. From 8 to 10 am on Saturday, July 5th, the city of Delray Beach will sponsor a beach cleanup at Atlantic Dunes Park, 1605 S. Ocean Boulevard. Volunteers are asked to assemble at the beach pavilion where the city will provide gloves, garbage bags, litter sticks and light refreshments. Community service hours can be earned by participants. Registration forms can be picked up at Delray Beach City Hall, 100 NW 1st Avenue or downloaded from the City’s website, www.mydelraybeach.com - click Beach Clean Up on the home page or call Jennifer Buce at 561-243-7138.